Every twelve years, when Jupiter enters the Aries constellation and the sun and moon are in Capricon, a rather special event takes place in India. 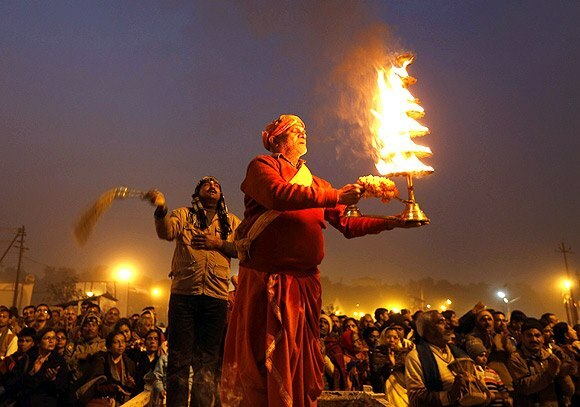 Millions of Hindus travel to the holy city of Prayag, on the banks of the River Ganges (Ganga), to take part in what has become the largest religious gathering in the world-the Maha Kumbh Mela. 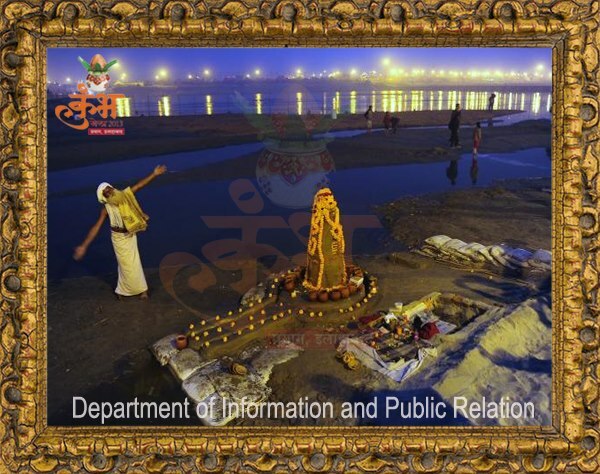 They come here to bathe in the holy waters of the Sangam, where the three rivers Ganga, Yamuna and Saraswati meet. This year it began on the 14th of January and will end tomorrow on the 25th of February. An estimated 30 million people are thought to have already attended the fair !! That is an enormous crowd. More than the entire population of Australia ! 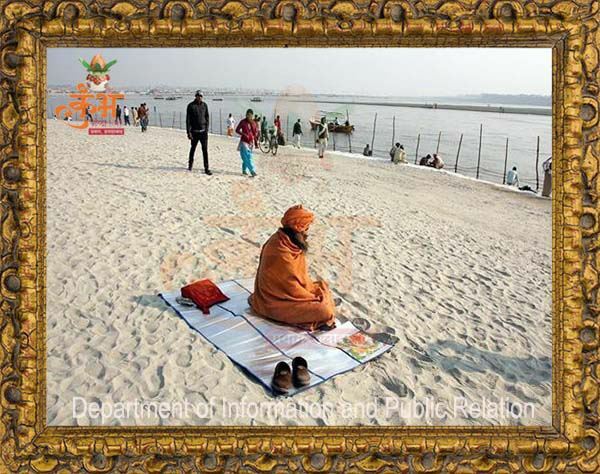 No one knows when the Kumbh Mela was first celebrated. Hsuan Tang, the Chinese traveller who visited India in 629-645 AD, was the first to write about it. But historians believe the celebrations could go back many centuries. 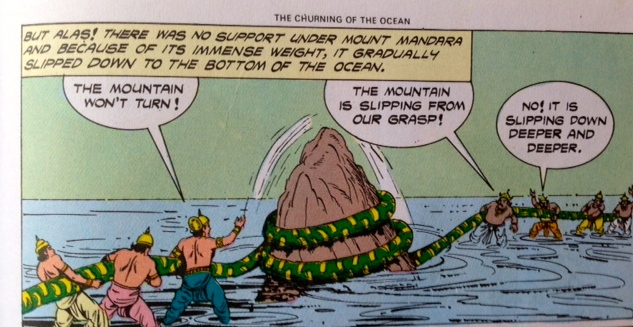 The clue to its origin may lie its name. 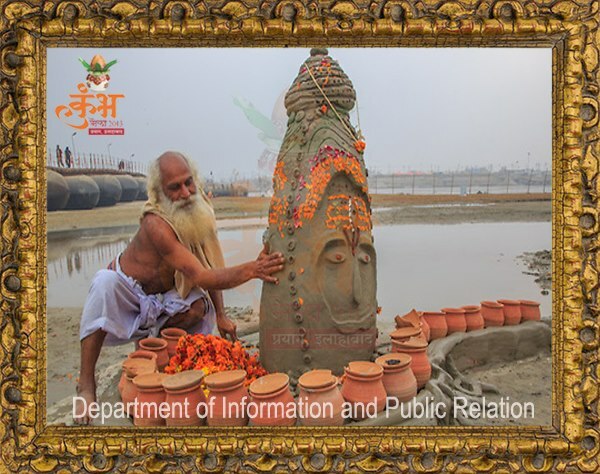 ‘Kumbh’ means a pitcher and a ‘mela’ is a fair or a gathering.Hindus believe that this Kumbh, is none other than the pitcher of nectar that emerged from the great churning of the ocean, the mythical Samudra Manthan, a well-known story from the Bhagwat Puarans. 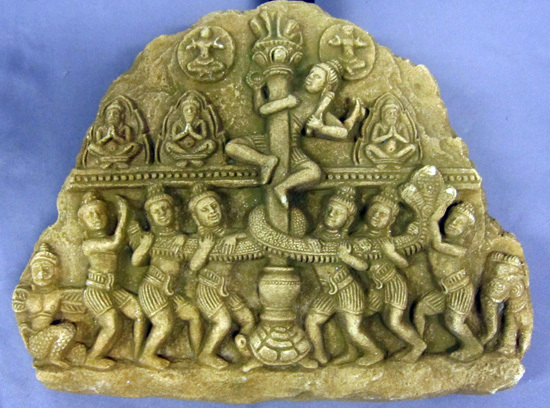 References to this ancient tale are found in epics as old as the Mahabharat and the Ramayana. 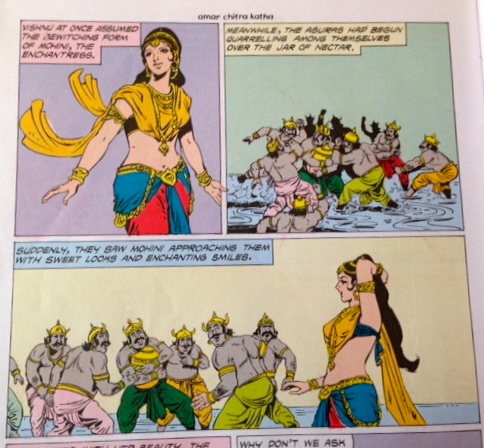 And the story goes that, when the asuras and devas were fighting over the nectar that emerged from the churning of the ocean, Vishnu flew away with the Kumbh spilling some drops of the nectar on Earth. They fell at four places- Prayag, Haridwar, Ujjain and Nashik. 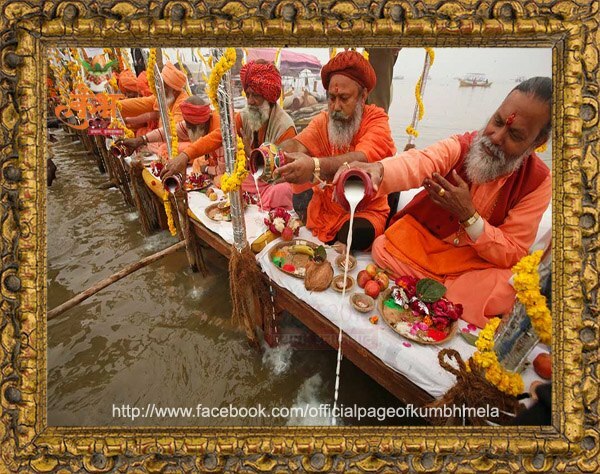 Hence, the Maha Kumbh takes place every twelve years in Prayag, when the stars and planets are aligned in the exact positions as described in the Purana. Many believe this alignment of stars and planets generates a very special energy which can be experienced during the Mela. 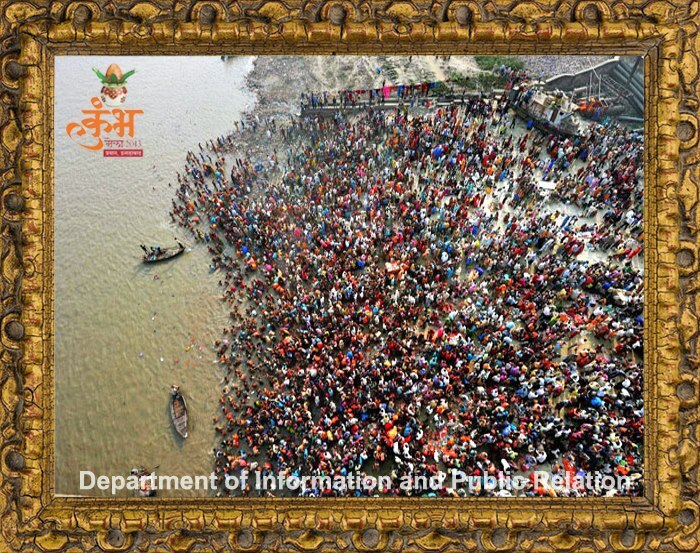 The slightly smaller the Kumbh Mela is held at Nashik, Haridwar and Ujjain every four years by rotation on the banks of Godavari, Yamuna and Shipra respectively. 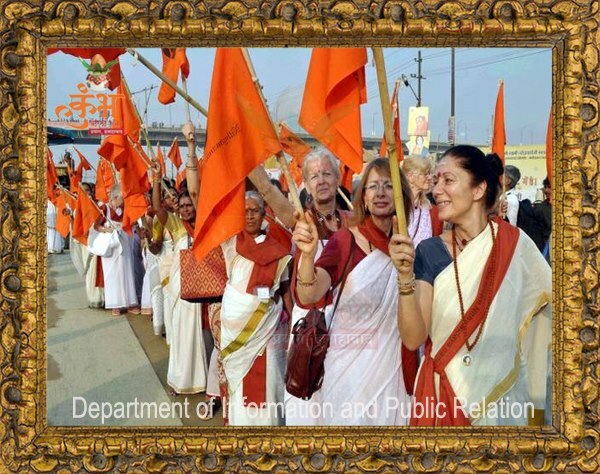 You can view a fantastic slide show of pictures on the official Kumbh Mela Facebook page.